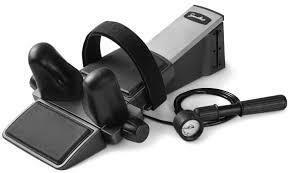 Available for rent is the Saunders cervical neck traction medical device. Designed for use in your home, this medical equipment is used for therapy in addressing neck discomfort. Safely and effectively stretches the cervical region of the neck. Comes ready to use with no assembly required. Contact BlueChipCare.com today to book your rental or for more info.